Above & Beyond feat. Richard Bedford - On My Way To Heaven (Above & Beyond Club Mix) [Anjunabeats]. FUTURE FAVORITE #1: Cosmic Gate & J'Something - Over The Rainbow (W&W Remix) [Black Hole]. W&W & Jochen Miller - Summer (Original Mix) [Mainstage]. Tenishia & Jan Johnston - As It Should [S107]. Susana & Shogun - Only You (from the album 'Brave') [Armada]. Vast Vision Feat. Fisher - Hurricane (Ost & Meyer Remix) [Enhanced]. 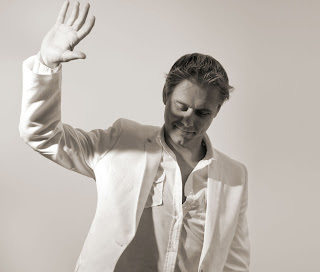 Armin van Buuren pres. Gaia - J'ai Envie De Toi (Tom Fall remix) [Armind]. Ummet Ozcan - The Box [Spinnin]. Neev Kennedy & DNS Project - A Bridge [A&R]. Hydro Poison - Normandia (Mike Danis Remix) [Alter Ego]. TUNE OF THE WEEK : Andrew Rayel - Aeon Of Revenge [ASOT]. Matt Bukovski - In Dreams [Digital Society recordings]. The Noble Six - Sundown In Dubai (Robbie Seed pres. Airsun Remix) [Blue Soho]. Poshout feat. Ange - Beside (Daniel Kandi's Dub Mix) [Timeline Music]. Fast Distance - Alpine [Digital Society]. FUTURE FAVORITE #2: Solarstone & Giuseppe Ottaviani - Falcons [Black Hole/ Touchstone]. Aly & Fila vs Jwaydan - Coming Home [FSOE]. Bryan Kearney & Jamie Walker - Nataraja [Kearnage]. Mark Leanings - Whatever Happens (Arctic Moon Remix) [Subculture]. Vlind - Hidden [Only Trance Records]. Darren Porter - Sparkles [Trancefixion]. Wach pres. Oussama Mlaouhia - Tunisia [Blue Soho]. Solarstone - Pure (MaRlo remix) [Touchstone]. ASOT Radio Classic : Kirsty Hawhshaw meets Tenishia - Outsiders.